Fellow Kindermusik Educator Lori Burkhardt called attention to a newsfeed today called Exchange Every Day. I have copied it below but wanted to interject my thoughts after reading the article. “….France’s minister for culture and communication, Christine Albanel, issued a ‘cry of alarm’ to parents in June about channels dedicated 24 hours a day to baby-targeted programming. In a newspaper interview, she called them ‘a danger’ and urged parents not to use them to help their children get to sleep. She was referring to two foreign channels that can be seen in France on cable television, BabyFirstTV and Baby TV. number of risks, encouraging passivity, slow language acquisition, over-excitedness, troubles with sleep and concentration as well as dependence on screens,’ the ruling said. “When BabyFirstTV first aired in the United States in 2006, it escalated an already heated national debate. The American Academy of Pediatrics has said babies should be kept away from television altogether. How can we best educate our children for the tasks they will face as adults in the 21st century? And how can we best engage them in activities that promote healthy brain development? So what are you going to do? I say provide quality opportunities to interact with your child. Reading and musical play are so important. 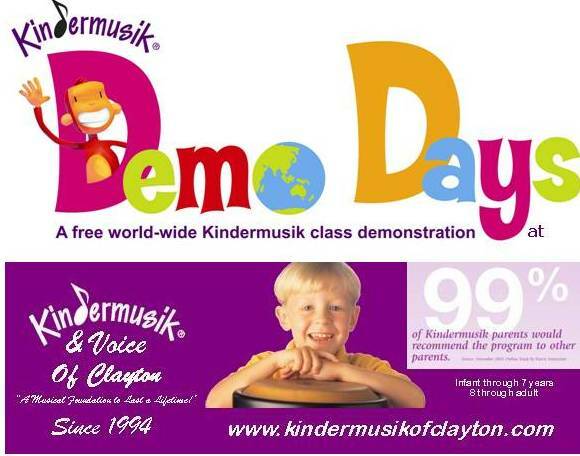 Try a Kindermusik class. Loving your child is what it’s all about! I am excited to see so many of you headed my way. It is looking to be a great weekend! 🙂 See post below for details.